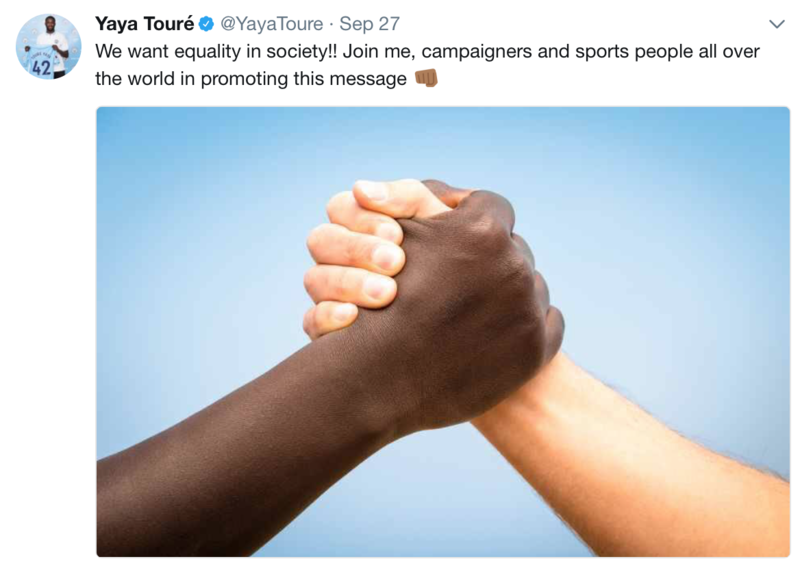 Yaya Touré has today made a call for true equality in societies across the world. The four time African Footballers of the Year has long been a staunch anti-racism campaigner who has always been vocal in talking about addressing the problem. He has been an ambassador for anti-racism group FARE and also advised FIFA on how to fight the issue. The FARE action weeks against racism and discrimination in football take place between the 5th – 19th October 2017.